Republican strategist Karl Rove will headline a fundraiser today in support of Jay Ashcroft, the Republican nominee for Missouri Secretary of State. Rove’s history with Ashcroft goes back to Jay’s father, John. 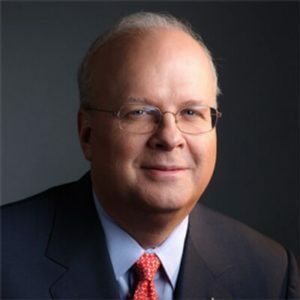 Rove has campaigned in support of other Republicans, including George W. Bush, former Texas Governor Bill Clements, Texas U.S. Senator John Cornyn and former Texas U.S. Congressman and U.S. Senator Phil Gramm. In his 2004 victory speech, Bush referred to Rove as “the Architect”. “It’s my understanding, when he (Rove) comes across individuals he thinks have the right values and the right principles that would serve the public interest by being in public office, he supports those individuals,” says Ashcroft. Jay Ashcroft faces Democrat Robin Smith in November’s general election. Wednesday’s private event is in Kansas City.